Play as The Wench in this new expansion and stand alone game! Serving up drinks and hospitality to the hardy adventurers of Greyport is an exciting, often difficult, and always thirsty task! 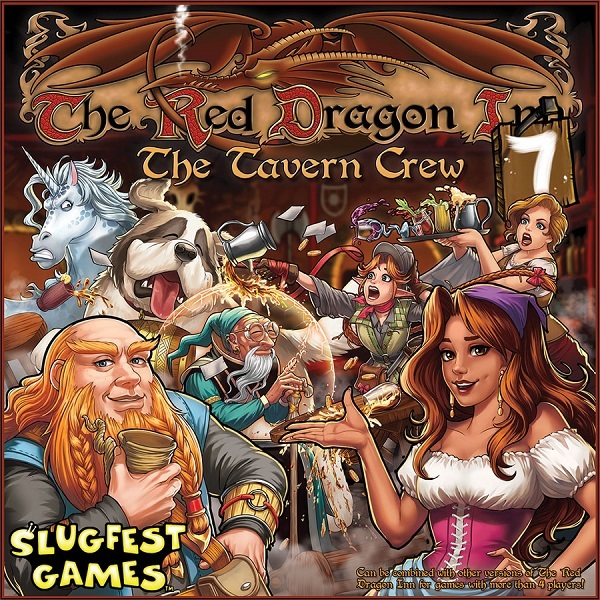 The Wench finally joins the party at The Red Dragon Inn, and shes bringing the rest of the tavern crew with her! Now the staff can kick back with a mug of ale, a fist of dice and pouches lined with adventurers gold. Drink, gamble and roughhouse with your friends. But dont forget to keep an eye on your gold. If you run out, youre going to be on dish duty for the rest of the night. Oh and try not to get too beaten up or too drunk. If you black out, your coworkers will divvy up all your gold as tips before continuing the party without you!The last conscious staff member with gold wins the game!